Notice is hereby given that, at 2:00 p.m. prevailing Central Time, on Thursday, July 26, 2018, the Secured Party Santander Bank, N.A. (the “Secured Party”) shall offer to sell at a public auction sale conducted in accordance with (i) the Floorplan Financing and Security Agreement between Secured Party and Debtor New City Historic Auto Row LLC d/b/a Alfa Romeo & Fiat of Chicago (“New City”), dated as of June 24, 2016 and (ii) the Illinois Commercial Code (the “Sale”) all of the following assets of New City located at 2401 S. Michigan Avenue and 2357 S. Michigan Avenue, Chicago, Illinois 60616 (the “Locations”): (i) approximately 121 new Fiat and Alfa Romeo motor vehicles from model years 2016-18 at the Locations (the “New Vehicles”), (ii) approximately 43 used motor vehicles from model years 2011-17 at the Locations (the “Used Vehicles” and, together with the New Vehicles, the “Vehicles”), (iii) certain furniture, equipment, tools, parts and other assets of New City at the Locations (the “Business Assets”). The public auction sale of the Vehicles and Business Assets shall take place at Rally Capital Services (Attention: Howard Samuels and Daniel Lee), 350 North LaSalle Street, Suite 1100, Chicago, Illinois 60654. The Vehicles and Business Assets shall be sold to the highest qualiﬁed bidder at the auction. Questions and requests for further information about the Sale, Vehicles and Business Assets should be directed to Howard Samuels and Daniel Lee by phone at (312) 645-1975 or by e-mail at howard@rallyllc.com and dan@rallyllc.com. The Vehicles and Business Assets shall be offered for sale and sold at the Sale on an “AS IS” and “WHERE IS” basis, without any representations or warranties of any kind, including, without limitation, any representations or warranties, implied or express, relating to the condition, merchantability, quality, ﬁtness for particular use, title, possession, count and quiet enjoyment. No subsequent communications by any individual or entity—whether oral, written or electronic— shall modify, waive or affect in any way the foregoing disclaimer of representations and warranties. The Vehicles and Business Assets will be sold as a single lot or, at Secured Party’s discretion, in separate lots. The Secured Party shall determine, in its sole discretion, which bid or combination of bids is the highest qualiﬁed bid(s) for the Vehicles and Business Assets. Any bidder wishing to make a bid at the Sale for any of the Vehicles and Business Assets must deliver to Rally Capital Services, LLC an initial deposit in immediately available funds (wire transfer or cashier’s check) in the amount of $125,000, with such deposit to be received by Rally Capital Services, LLC no later than 24 hours before the start of the Sale. To the extent Rally Capital Services, LLC requests additional information from a proposed bidder, such information shall likewise be delivered to Rally Capital Services, LLC no later than 24 hours before the start of the Sale. At Secured Party’s sole discretion, the requirement of a deposit may be waived for one or more bidders. Bidding shall be solicited in such increments as the Secured Party may determine. The successful bidder or bidders must pay the balance of the successful bid or bids within twenty-four (24) hours following the conclusion of the Sale, and must remove all purchased property from the Locations within 7 business days following the conclusion of the Sale. Such payment(s) must be made in immediately available funds (wire transfer or cashier’s check). If the Secured Party accepts a bid(s), and such successful bid(s) is/are fully paid, the successful bidder(s) will receive a Quitclaim Bill of Sale and delivery of any applicable titles or registrations upon removal of the purchased property from the Locations. If any successful bidder fails to pay the full balance of the successful bid or bids within twenty-four hours following the conclusion of the Sale, or fails to remove the purchased property from the Locations within 7 business days following the conclusion of the Sale, such bidder will forfeit its bid deposit to the Secured Party, and the Vehicles and/or Business Assets subject to such bid may, if the Secured Party chooses, be sold to the next highest bidder (s), without prejudice to or waiver of the Secured Party’s rights and remedies against the defaulting highest bidder(s). The Secured Party additionally reserves the right to credit bid at the Sale a portion or all of its debt—to be applied to the purchase of any portion or all of the Vehicles and/or Business Assets—at any time during the Sale. 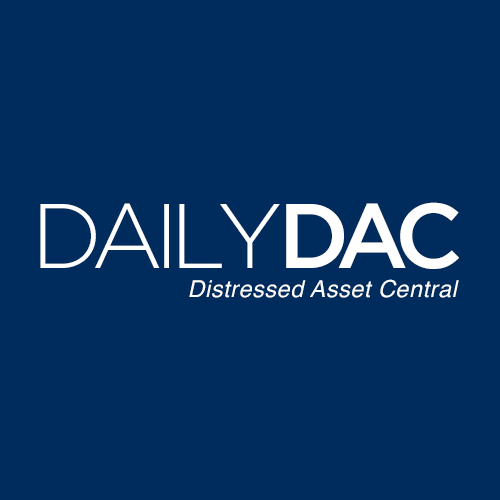 The Debtor is entitled to an accounting of the unpaid indebtedness secured by the Vehicles and Business Assets, and such accounting may be requested by contacting Howard Samuels and Daniel Lee by phone at (312) 645-1975 or by e-mail at howard@rallyllc.com and dan@rallyllc.com. The Secured Party, in the exercise of its sole discretion, before or during the Sale, reserves the right to modify the foregoing terms, impose additional terms and conditions of the Sale, or to continue the Sale without further advertisement or written notice. Such additional or modiﬁed terms may be announced at the Sale. The Secured Party further reserves the right, before or during the Sale, to determine the qualiﬁcations of any bidder, including the ability to make timely payment of the full purchase price for the assets purchased. Permitting a bidder to bid shall not be deemed a conclusive determination thata bidder is qualiﬁed to bid, or capable of funding its bid.